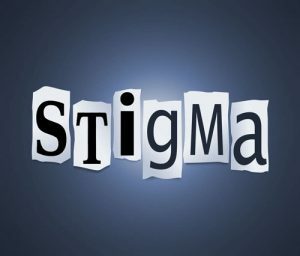 Fighting Stigma: Down With “Drug Users”; Up With . . ? There’s a movement afoot to banish short, snappy, offensive terms like “addict,” “drug users” and “abuse,” and replace them with terms unlikely to perpetuate stigma. And it’s not only about stigma. It is more medically accurate to use “substance use disorder” because that is the language of DSM-5, and is the correct diagnostic term. But that leaves us with longer, clunky terms like “substance misusers,” or “person with substance use disorder.” Somewhat difficult, you might say, to work into a headline. Overdose is not the only risk related to prescription opioids. Misuse, abuse, and opioid use disorder (addiction) are also potential dangers. Yet many headline writers in the non-medical world see no problem with using completely inaccurate terminology, such as “addicted babies.” You will even hear elected officials using this terminology. It may take Congressional action, such as Rosa’s Law, which in 2010 decreed that “mental retardation” be changed to “intellectual disability” and that “mentally retarded individual” be changed to “individual with an intellectual disability” across all governmental agencies. It wasn’t long before the news filtered down, and this extremely stigmatizing language disappeared from the world of mental illness.